General Biographical Description: Professor Kefah Mokbel is a Consultant Breast Surgeon at St. George’s & The Princess Grace Hospitals and a Professor of Breast Cancer Surgery at The Brunel Institute of Cancer Genetics and Pharmacogenomics. He is also the founder and president of Breast Cancer Hope Charity. 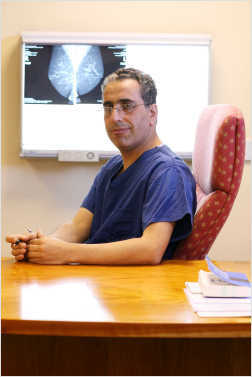 His main clinical interests lie in the field of breast surgery including the early detection of breast cancer, minimally-invasive breast surgery, the sentinel node biopsy, oncoplastic breast surgery, skin-sparing mastectomy and immediate breast reconstruction, breast ductoscopy, cosmetic breast surgery (breast enlargement, breast reduction and mastopexy), breast cancer prevention, genetic predisposition and the management of benign conditions such as mastalgia, breast cysts and fibroadenomas. His main academic interests lie in the field of postgraduate education and research into molecular biology and the clinical management of breast cancer. He has had over 170 papers published in peer-reviewed international medical journals and has written 10 books for postgraduate education. He is a member of the editorial board of several international medical journals and considered a leading expert in the field of breast cancer.